"Your Southern Africa Travel Specialists!" For a Tailor Made Safari - Contact us now! What we do for you: We mould your travel needs and wishes with our extensive experience and knowledge gained within our tourism industry. We take care of EVERY aspect of your vacation: All inclusive and Tailor made vacation packages to Southern Africa are our speciality! We work for you: tell us what you would like to experience while on your vacation in Southern Africa. Travel and discover Botswana, Mozambique, Namibie, South Africa, Zambia and Zimbabwe. Southern Africa is alive with possibility, how to enhance this for your benefit begins right here. Our Africa offers incredible diversity enabling you to combine a dazzling cocktail of experiences into your all inclusive vacation package. Take in a barefoot luxury beach experience on a remote island off the coast of Mozambique combined with guided walking safaris through South Luangwe National Park in Zambia. Cultural, historic, adventure, great food and wine! Southern Africa has it all. With over 16 years of developing our tourism industry with specific interest in all-inclusive vacations to southern Africa, we are well placed to work with you in your quest for your dream vacation through each facet of your needs and wishes. Our drive and passion is found in seeking to provide you with an extraordinary experience, from the very moment you touch our lives to welcoming you back on your following visits time and time again. We understand our clients through listening, moulding your wishes to our experience and knowledge and providing complete support before, during and after your visit. 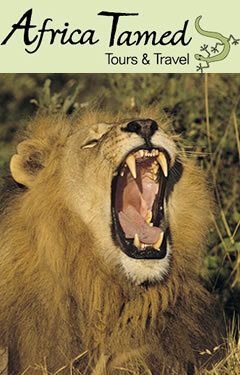 Let us tailor make your safari holiday, contact us now.